Holidays are the reward for our hard work! Time to go home and the sun has come out! 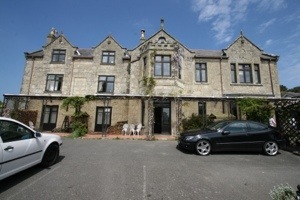 We had a great few days at The Grange Hotel in Shanklin. before heading to the ferry, via the White Lion (Arreton for lunch). 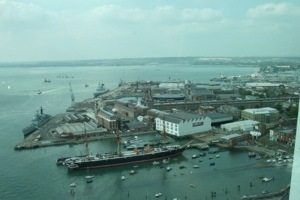 Managed to catch the earlier ferry and now heading to Portsmouth for a few hours. 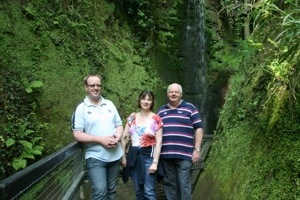 Better to spend time sightseeing rather than sitting in long traffic jams (rush hour) on M4. 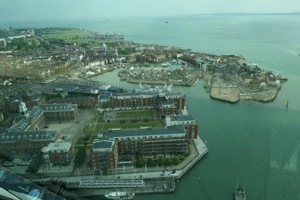 Been to the top of the Spinnaker Tower, great views of Portsmouth. 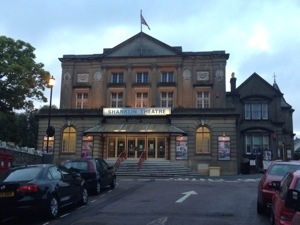 Well we have a mixture of rain and sun today but it has been pleasantly warm so no need for jumpers! Today we travelled to the West of the Island, visiting Freshwater, Yarmouth (fantastic steak sandwich for Lunch at the Bugle Inn), Totland and finally Alum Bay (The Needles). Most disappointing thing about Alum Bay being that the chair lift over the cliff was out of action but the ice cream was good! Hooray! 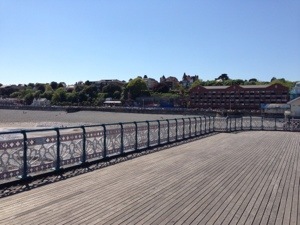 The sun shone for most of the day, apart from when it rained in Ryde. 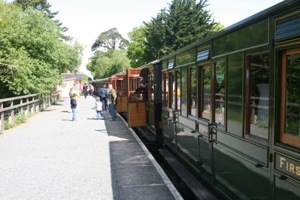 We decided to go back in time and took a journey on the Island’s steam railway. 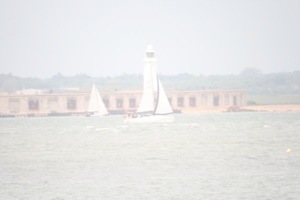 A visit to the Isle of Wight should always include Cowes, the home of sailing. 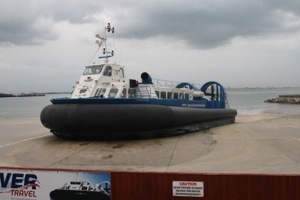 So lunch in Cowes before moving onto Ryde where a photo of a hover craft is always a must – sad or what? 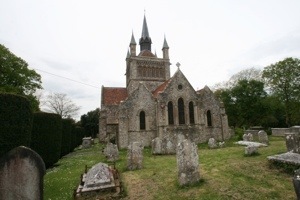 Forgot to mention, we stopped off a the church previously frequented by Queen Victoria and where he daughter Beatrice is entombed. The final stop of the day having passed through Sandown, and I mean ‘passed through’, was Godsill. They sell great ginger beer in Godsill and have their own Chocolate Island where they make all their own chocolate. 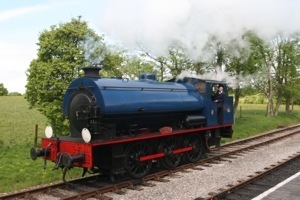 I was very good and didn’t buy any chocolate though, I was full after the scones, jam and clotted cream! 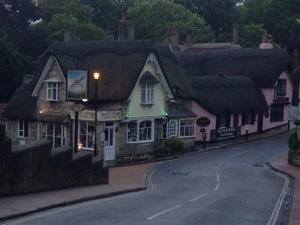 Shanklin Old Town as dusk falls. 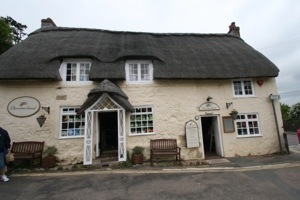 First port of call on arriving on the IOW was the White Lion pub in Arreton. Excellent lunch and we even had a chance to test the different beers before settling on a pint to drink – fantastic service! 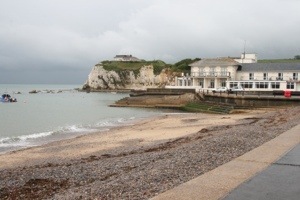 Shame it has been raining all afternoon but it didn’t stop us having a wander around Shanklin to find the perfect pub for dinner later this evening. The hotel has an honesty bar – that’s a trust thing! Unfortunately, there is no malt whiskey in the bar but there is plenty of red wine. Shame Watford lost today but I think the best team won. 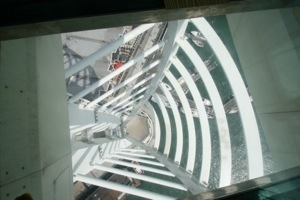 Looking forward to a few days away on the Isle of Wight, hope the weather is not to crappy. Just had a really pleasant afternoon with my parents and my niece enjoying probably our only real summers day 2013. And before any comments are made, I know that May is technically still Spring. 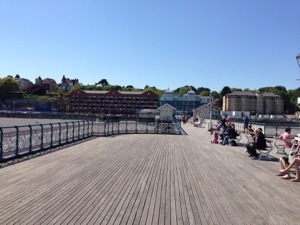 There wasn’t a cloud in the sky at either Penarth, photos below taken from the pier, or Barry Island – good to see Dave’s coaches are still in business even though Gavin and Stacey is not.